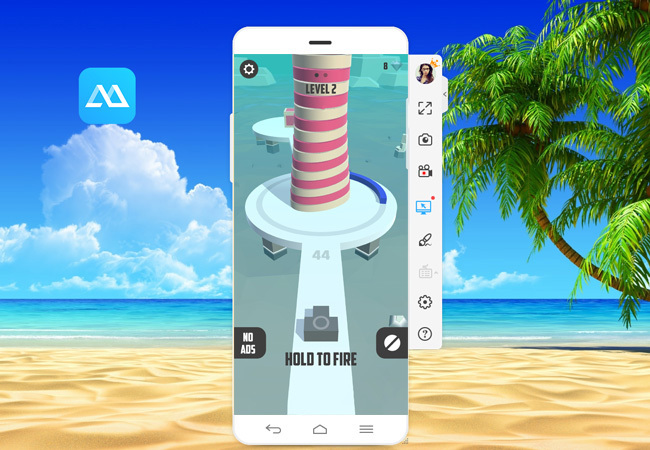 Fire Balls 3D is a popular game for mobile phones and tablets developed by Voodoo. 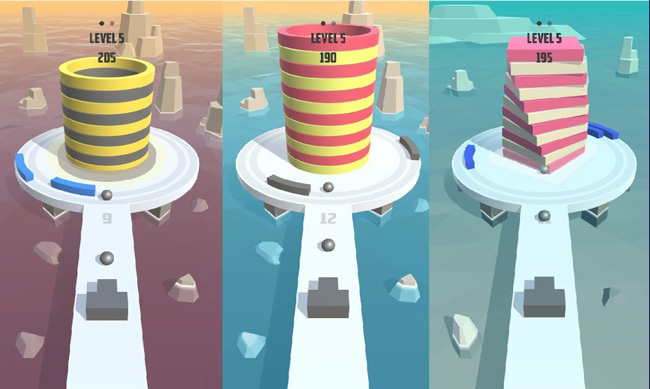 Here your main objective is to hit the colorful tower while avoiding a series of walls that rotate around it. It looks easy to play yet as you progress the levels you will find different sets of obstacles that will surely test your aim as well as your ability to concentrate. But even with great devices, many users still love to play this game on a much larger screen. So, if you want to play Fire Balls 3D on PC with a keyboard and mouse, keep reading and learn the most practical way to do it. ApowerMirror is a well-known screen mirroring program for Android and iOS mobile phones packed with bunch of attractive features. It is also compatible with the latest computer operating systems such as Windows and Mac. With this, you will have an amazing experience when watching movies, playing games and even giving a presentation because it displays the screen of your phone to PC with high-quality resolution. Moreover, this app supports PowerPoint remote control whereby you can change presentation slides from the comfort of your smartphone. Thus, you no longer need a Bluetooth remote or to go back to your computer to move slides. In addition, you can add lines and shapes using its annotation feature to give emphasis to important parts of a presentation. Following is a guide on how to play Fire Balls 3D on computer. Download the software both on your phone and desktop. Install it afterwards. Launch the app on your computer and connect your Android to PC using a USB cable. Then, enable USB debugging on your Android device when a prompt appears on your PC. After that, the name of your phone will show up on the desktop app. Open the app on your mobile phone and a notification will appear saying that the tool will start to capture the display on your screen. Simply click “Start Now” to begin the mirroring process. Once your phone screen is mirrored, navigate using your computer mouse and open Fire Balls 3D then enjoy playing. After learning how to play Fire Balls 3D on PC, you deserve some tips to play the game more strategically. 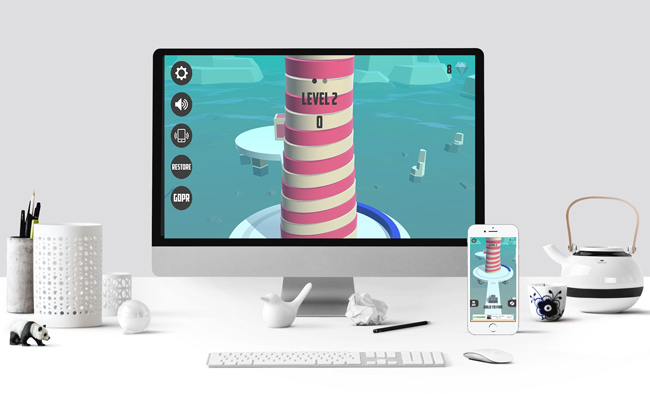 The game has a simple level-design yet you have to learn some tricks to make every hit count and strike the tower, which is your main goal. And, as you progress further, you will encounter very challenging obstacles. So follow these cheat guides and see yourself smashing the towers down. It is important to be patient to do well. Most players are tempted to fire too many balls which is not the right thing to do. When you keep on doing this, you’ll most likely hit one of the barriers and see the Game Over screen. By learning the behavior of the barriers, you will have a hint of when are you going to hit the tower. These barriers follow a certain pattern so it’s important for you to estimate the time and be mindful when to start and stop shooting. In the latter part of the game, the stages have more irregular patterns so keep an eye on them to prevent yourself from getting caught. If you can execute Near Miss hits, you will get more points which will be added up to your score. The nearer the ball gets to the barrier that higher score you will achieve. At the same time, you will get bonus points for taking risks. It is a Yellow lightning, which appears automatically when you have filled up the yellow bar. This power up has a lot of advantages. As soon as it shows up, you can use it immediately. It allows you to clear away several sections of the tower and most importantly. It enables you to destroy rotating barriers in the way. So, if one of those barriers is giving you trouble, knock it out using the bolt. You also need to work on your skills such as Agility. One way to get a high score is taking time to aim a single shot. However there are also instances when you have to move fast and play recklessly. By honing this skill, you will get more points as you can execute near miss shots by hitting the very edge of obstacles with rapid-fire. In case you want to play Fire Balls on your PC, but don’t know how to make this happen, you can use ApowerMirror. With this program, you can also have fun playing with your friends as it allows you to mirror two or more devices. Finally, follow the cheat guide we provided and see yourself smashing the towers down.